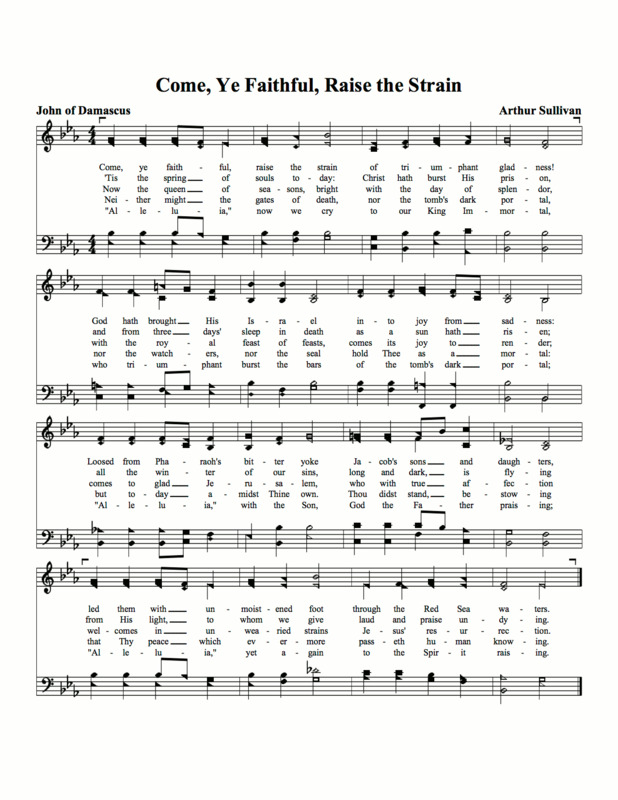 Traditional hymn in 4 parts with each part on its own staff. 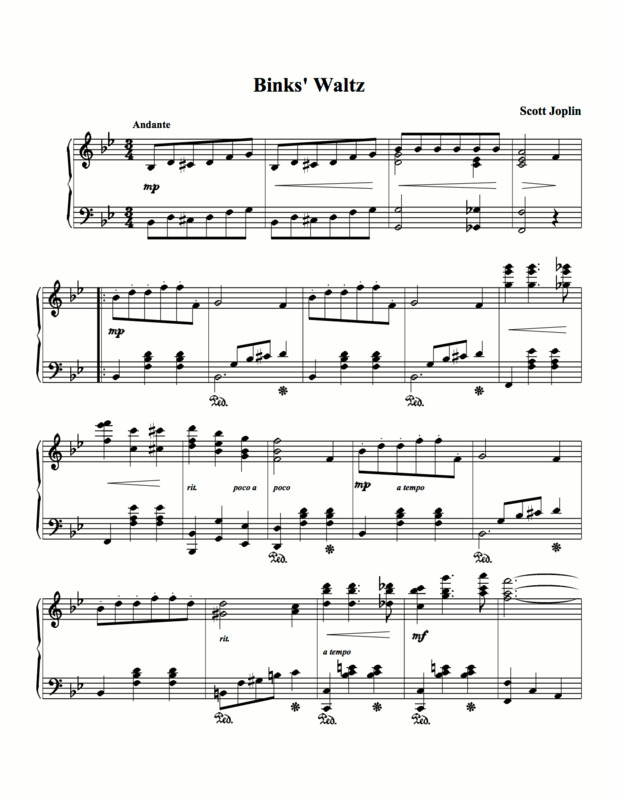 This is a well-known ragtime piano piece composed by Scott Joplin. The flute staff is scaled smaller than the piano staves. 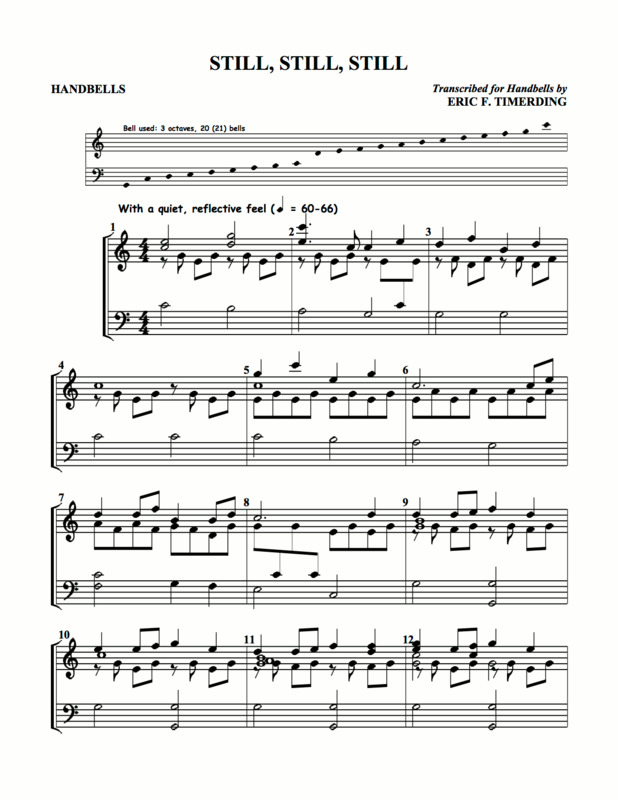 Piano sonata displaying interstaff slurs and beams, time signature changes, hairpins, etc. 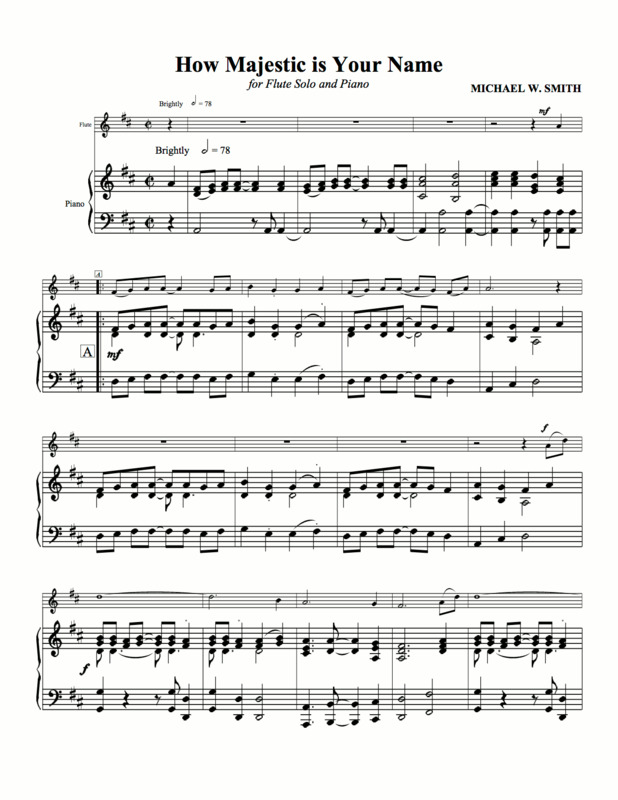 This is arranged for handbells. 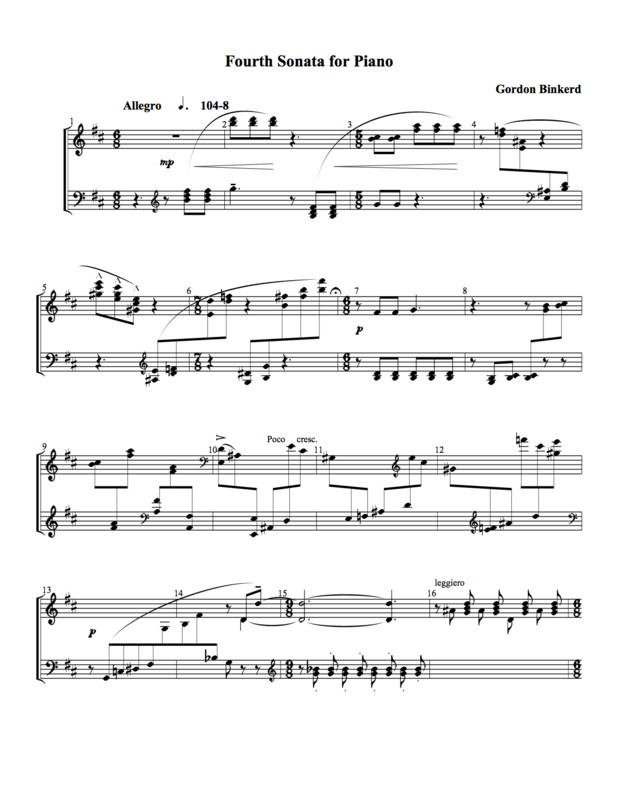 The bells used are displayed above the piece. 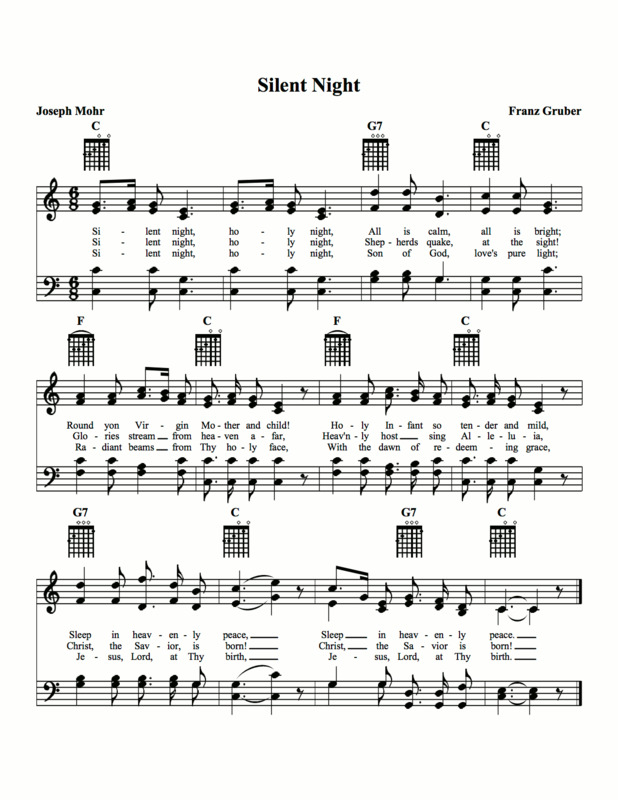 Traditional Christmas song for SATB using 2-staff systems with guitar fret diagrams. 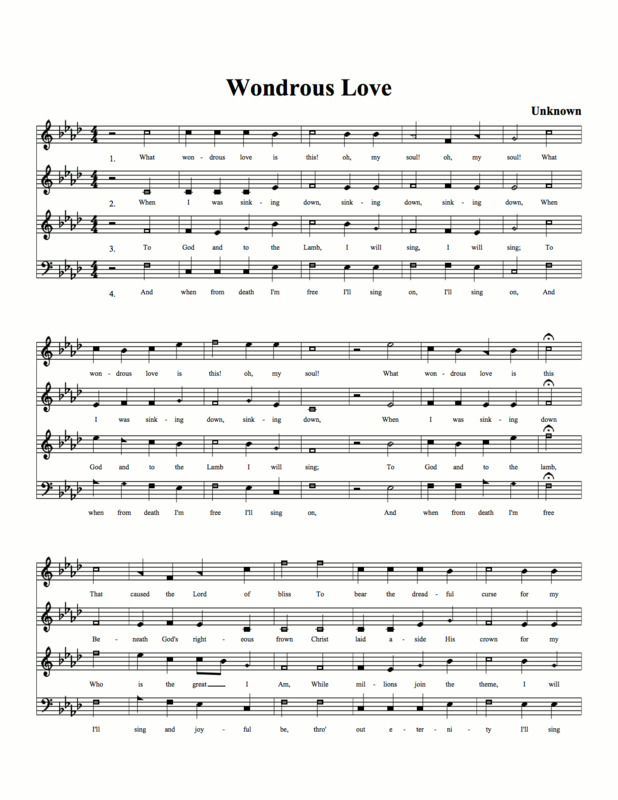 Traditional song notated in the Sacred Harp system which uses 4 notehead shapes. 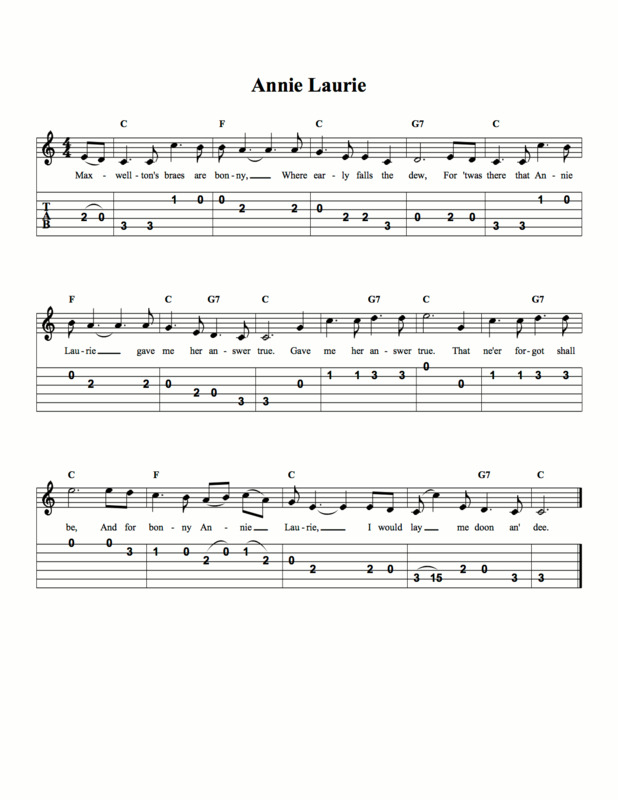 This standard is displayed using guitar tablature with stemmed notes. 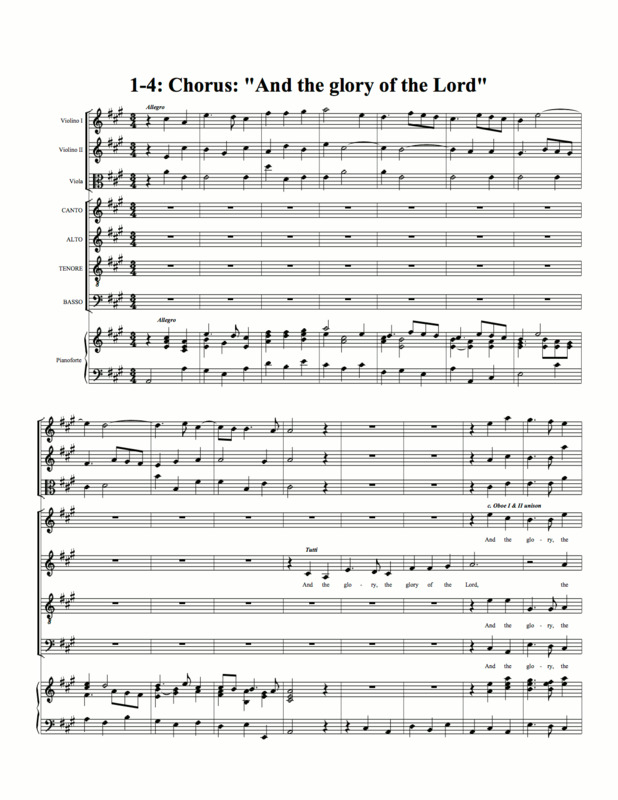 A scene from Handel's Messiah for orchestra and chorus with optional piano accompaniment. 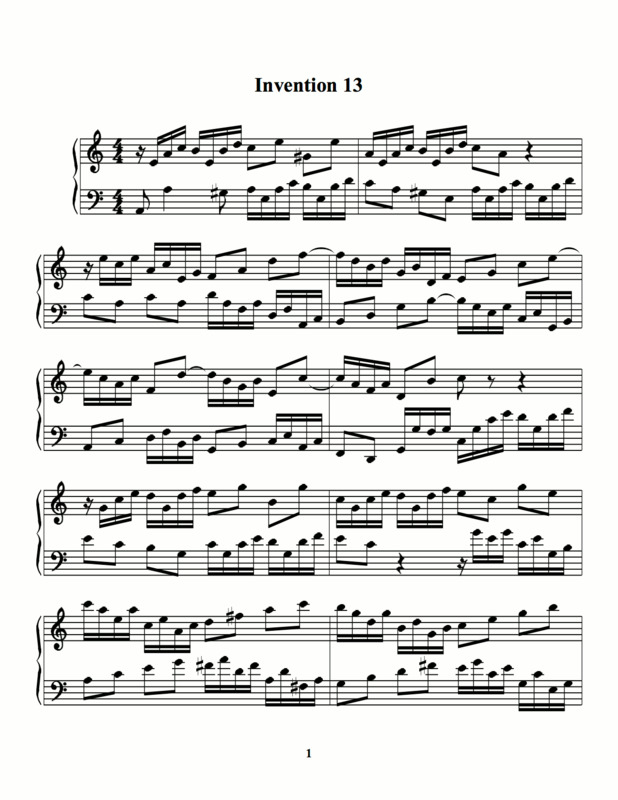 One of Bach's 2 part piano inventions. This well illustrates the automatic positioning of beams. 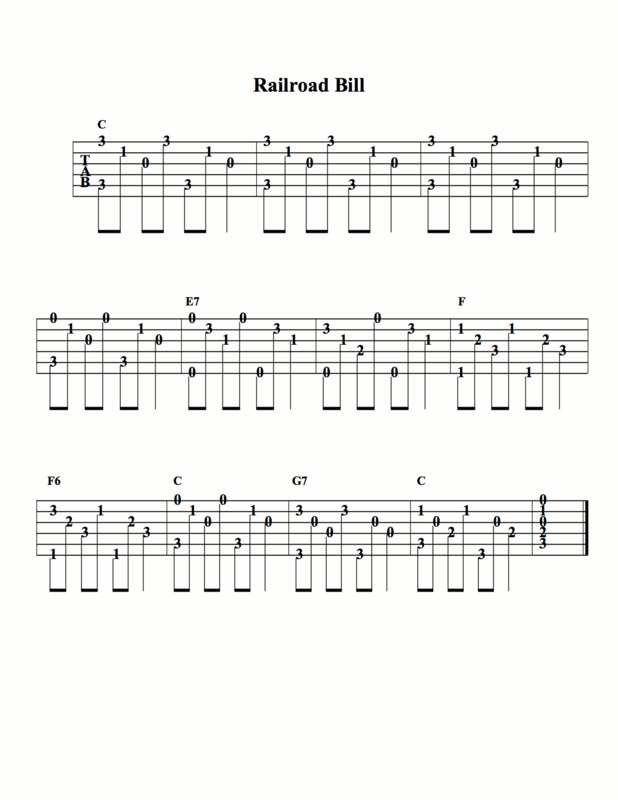 Shows how music can be displayed using both tablature and standard music. 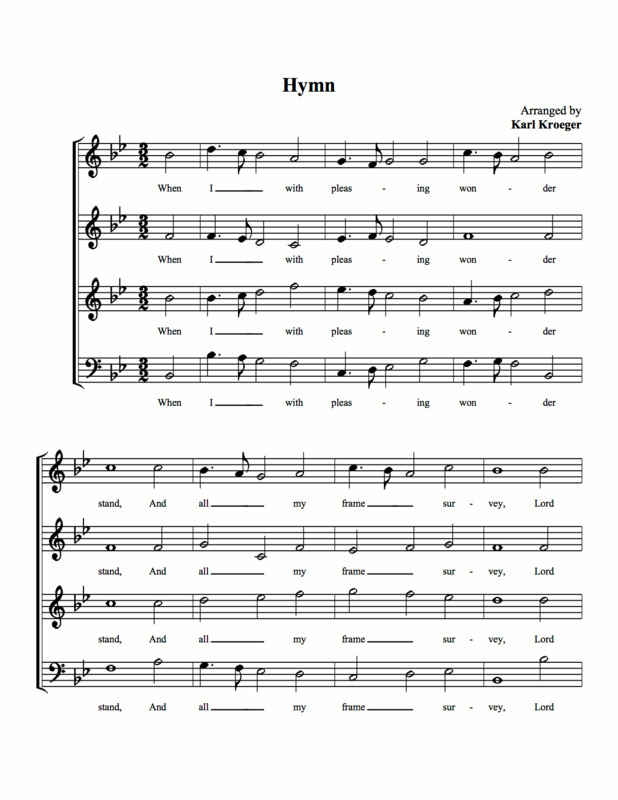 This SATB hymn is notated using a standard 7 shape system.